What do you wonder about? That little phrase is so small and yet so powerful. When we honor children’s questions and observations it encourages them to become co-creators of their learning by honoring what they want to know about. 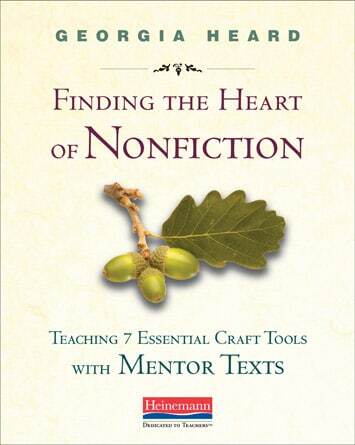 Nonfiction writing begins and ends with wonder. One way we can nurture children’s wonder is by creating a Wonder World in the classroom. Our class is planning to launch an exploration of a new theme – The Wonder World. I am hoping this theme will help my students respond to the natural world with wonderment and awe. We will further extend concepts…by gathering data through our senses; we will do sound surveys during outdoor walks; we will look at objects great and small. There will be opportunities for students to wonder; to ask questions, and to pose problems and then we will explore ways to get answers. We will be using our study of the Wonder World as a springboard for math, language, science, art, and music activities. Post a Wonder-of-the-Week on an easel and ask students to write their thoughts about the wonder underneath. Ask students to keep a Wonder Journal to write down questions about anything they’re studying in school, how the world works, or anything in their lives. Include a whole group once-a-week discussion time of the Wonder-of-the- Week, or other questions from their Wonder Journals. 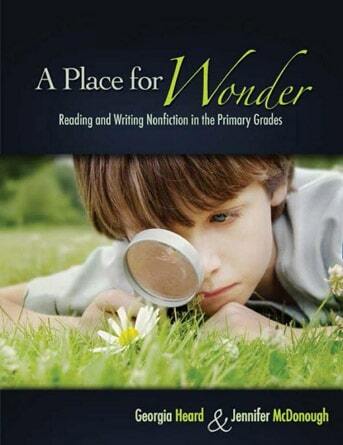 Set up Wonder Centers (see A Place for Wonder: Reading and Writing Nonfiction in the Primary Grades by Georgia Heard and Jennifer McDonough) where students can gather data using different senses. Go on an outdoor walk and highlight one sense (sight, smell, touch, sound, taste). Ask students to observe and record their observations in their Wonder Journals. When you return to the classroom, write down their observations on a chart.